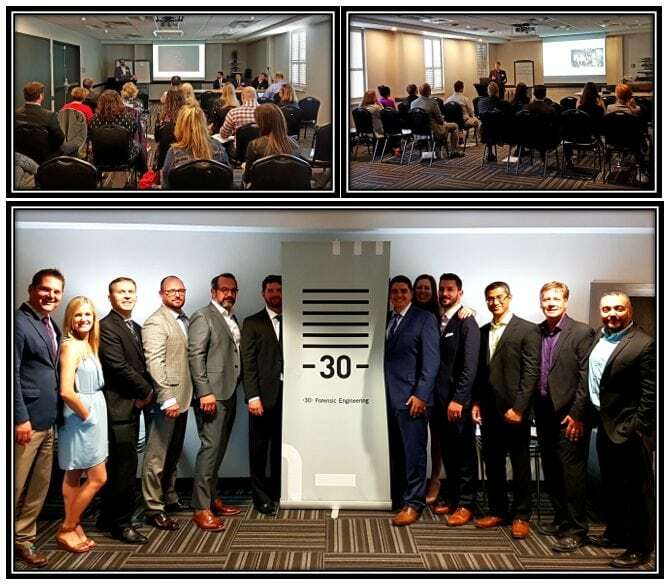 30 Forensic Engineering, Canada’s leading and fully-independent multi-disciplinary forensics firm, is excited to announce that Brandon Northrup, B.Sc., CFO, CFEI, CMM III has joined the firm as a Senior Fire Investigator within our Fire & Electrical Investigations Group. Brandon brings over fifteen years of experience as a fire chief and firefighter to 30 Forensic Engineering. As a fire service professional, Brandon has attended hundreds of fires giving him unique insights into the investigation of fires. In addition to his experience with fire investigation, Brandon has completed over 50 training courses related to firefighting, fire investigation and emergency management. Brandon has a Bachelor of Science degree in Fire Service Administration and is pursuing a Masters Degree in Emergency Services Management. Furthermore, he holds both Fire Service Leadership and Fire Service Administration certificates from Dalhousie University. Certified Fire and Explosion Investigator (CFEI) from the National Association of Fire Investigators. From Sunday, June 19th to Wednesday, June 21 Giffin Koerth’s Electrical Forensic Group will be in Montreal to attend the 34th Electrical Insulation Conference at Hotel Bonaventure in Montreal, QC. The Electrical Group will be represented by Andy Brown and Keith Foster, supported by Vanessa Lacey and Alexandra Jones. Giffin Koerth will be exhibiting at the conference on Monday and Tuesday during lunch and the Poster Session in the evening. On-site registration is available, so come by and say hello! Andy Brown is Chairing one of the Rotating Plant sessions at the Conference and will also be participating in the IEEE Standards working group meetings relating to High Voltage Insulation and testing, which take place after the close of the 2016 EIC on Rotating Machinery. These working group meetings are held by the IEEE DEIS Materials Subcommittee of the Electrical Machinery Committee, and allow for the discussion and new definitions of existing and new working standards in the industry. For more information, please reach out to Andy. The Electrical Group is excited and honoured to be a part of this year’s EIC! To learn more about Giffin Koerth’s Electrical service offerings, click here. Changes are coming to the NERC Electrical Reliability Rules, effecting Ontario Generation Facilities – are you ready? Come July 2016, the Independent Electricity System Operator (IESO) is changing the definition of which generating facilities are considered part of the Ontario Bulk Electric System (BES). Do you connect at 115kV or greater; have an individual unit greater than 20MVA or aggregate capacity greater than 75MVA? If so then you may have to comply with all applicable North American Electric Reliability Corporation (NERC) standards. Each Province has differing levels of compliance and implementation dates around NERC, with Ontario taking the lead. Are you NERC ready? The electrical experts at Giffin Koerth are well-qualified to assess and help you become NERC-compliant. Call Keith Foster or Andy Brown at 416-368-1700 to take the first step. Check out our website for other Engineering and Forensic services offered by Giffin Koerth Engineers, Scientists and Specialists.